Victor Gomez was arrested and charged with Receiving/Transferring a Stolen Motor Vehicle and for an outstanding Felony Warrant. 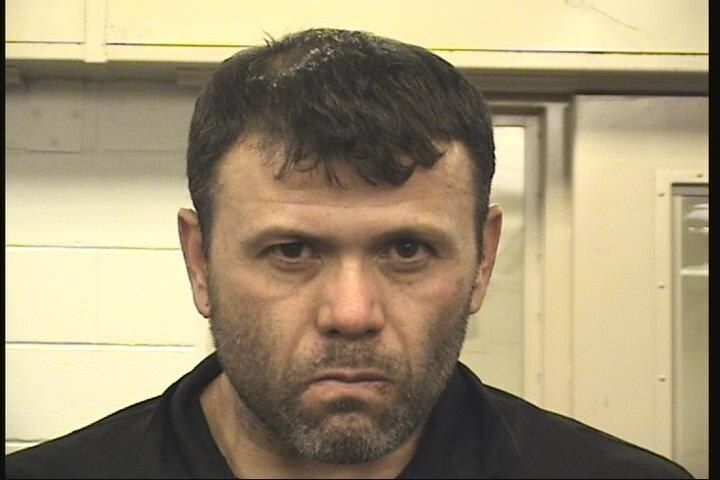 Victor Gomez, 41, was arrested and charged with Receiving/Transferring a Stolen Motor Vehicle. The Albuquerque Police Department received a LoJack signal from a stolen vehicle near Coors Blvd and Blake Rd which was reported stolen earlier in the morning during a car jacking. Officers picked up this signal and contacted the Auto Theft Detectives for assistance. As detectives were responding they observed the stolen vehicle going the opposite way with a male driving the vehicle who was later identified as Victor Gomez. Officers and Detectives were able to track this signal to a tire shop located in the 3300 block of Coors Blvd where they observed the same male standing outside the vehicle. It appeared the vehicle was being worked on by the tire shop and had the wheels removed from the vehicle. Officers and Detectives were able to take Gomez into custody without incident. Gomez was arrested and charged with Receiving/Transferring a Stolen Motor Vehicle and for an outstanding Felony Warrant. Gomez is also a repeat auto theft offender. The employees at the tire shop told police that Gomez brought the vehicle in and told them it was his vehicle. Officers did not have reason to believe at this time the tire shop knew the vehicle was stolen due to Gomez having the keys. The Field Services Officers and Auto Theft Detectives did an outstanding job recovering the vehicle and taking Gomez into custody without incident. This is another example that shows the value of the partnership we have with the LoJack Company in making arrests of auto theft offenders in New Mexico while keeping the community safe.